Have you ever watched those weight loss infomercials that promise a fit body with little effort? Celebrities like Chuck Norris and Jennifer Nicole Lee swear by the results that these machines can offer. But do they really work? I just want to say that you cannot get toned legs in just 3 minutes a day. 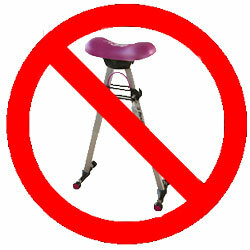 Any exercise equipment that advertises effectiveness in such a short period of time is a lie. 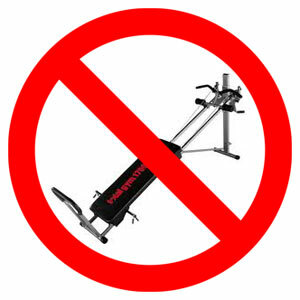 If you really want to see results from this machine you would have to stay on it a lot longer than 3 minutes. If your heart rate is not racing and you aren’t breaking a sweat then no fat is being burned. Leg exercises are meant to be strenuous and difficult. This Ab exercise phenomenon sells not because it actually works but because Jennifer Nicole Lee swears by it. Celebrities have a huge influence on the general public and if they say something works, it’s gonna sell. Jennifer Lee has an amazing figure and great abs. But she probably has a personal trainer and spends many hours in the gym. The Ab Circle Pro can be a great supplemental exercise to a real ab workout, but I wouldn’t rely on it as your sole source of losing weight. The late night infomercials of Chuck Norris promoting the total gym make me laugh ever time I see them. The total gym didn’t sculpt Chuck Norris into a martial arts master, Chuck Norris just imagined himself as a karate god and it happened. If you want to build muscle and look like those big guys on the commercials then it’s time to get a gym membership, and use it! Gyms make all their money on lazy people buying a membership and only coming once a month. The ab exercise belt leaves me speechless. The commercials for this appeal to the laziest of the lazy. 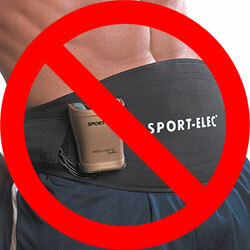 If you think you can get great abs by putting on a belt that stimulates your abs, your crazy. If you want an 8 pack and abs like the guys on the movie 300 then you better work out till you want to puke. This belt may make your muscle tight but it’s not gonna burn any fat or make you lose weight. Now I have saved the best for last! The shake weight is probably the best invention man has ever seen! Not because it actually gives you a workout but because it is the single most sexually suggestive piece of workout equipment ever! 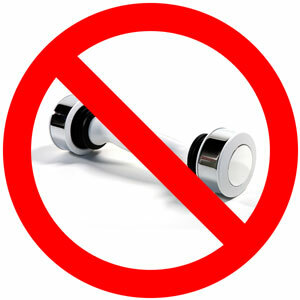 The Shake Weight has been the but of thousands of jokes on SNL, Southpark and who knows what other TV shows. 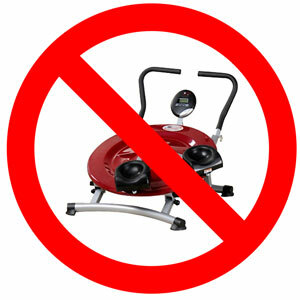 Of all the workout machines that don’t work this is the only one I would actually buy… for someone else of course. This entry was posted in Fitness, Weight Loss, Workout Routine and tagged gym equipment, weight loss by Russell Jensen. Bookmark the permalink.